We need to talk about marketing. I know that as a small to medium-sized architecture firm, it is probably not the first thing on your to-do list. 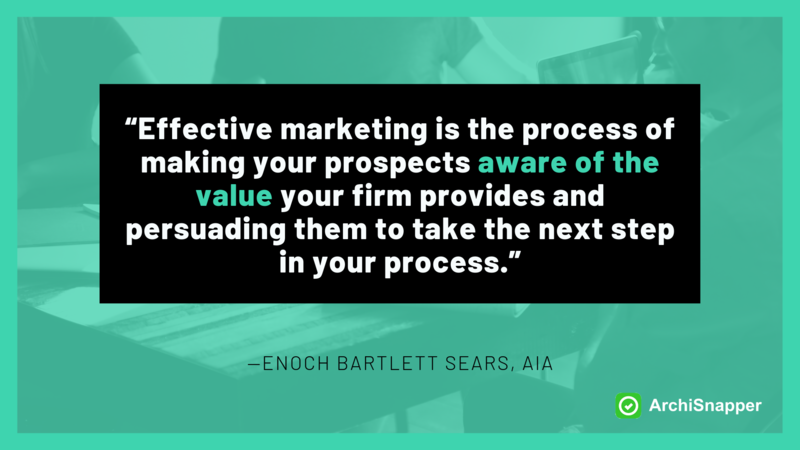 With a dozen other things that take precedent, like working on projects and trying to meet deadlines, talking with prospects, drafting proposals, pleasing clients, administration and invoicing, marketing often falls into the afterthought category. But here is the thing, if you don’t dedicate some time and effort into marketing, it can make it more difficult to build and scale your business. Marketing and communication are growing increasingly important for architects and contractors. Essentially, if you are not thinking about your communication and exposure, other architecture firms will simply surpass you. “Everyone has two jobs, their first job is marketing their firm. Their second job is doing the thing they marketed. If you do not do job #1 there is no job #2. If you do a bad job at #1 you end up with average projects and skinny kids. In short: marketing is essential. In this day and age, it doesn’t necessarily pay to be the best, but it certainly pays to know how to market yourself. 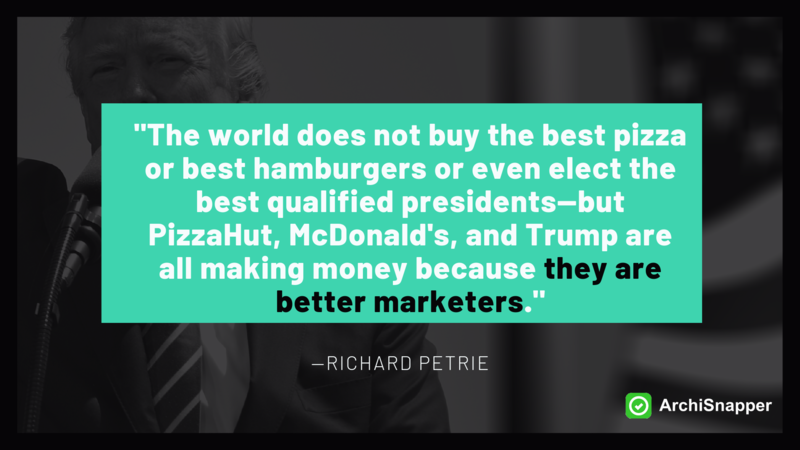 And when you do think about marketing, you might immediately think: expensive. Spending $20,000 on a new website, $300 per month on Google ads, or $1,000 for a magazine spread might not be feasible for your budget. If this sound about right, then keep on reading. In this article, I will share an important insight that will help you get better leads without spending tons of money. Before delving into the specific tactics, let’s take a step back and talk about what marketing is and what we try to achieve with it. Those are all examples of advertising. But marketing is not necessarily advertising. While advertising can be a part of marketing, it is not the only option, and to be honest—it is not even the best or most effective option, especially for small to medium sized architects and contractor businesses. Put simply: good marketing helps potential clients get to know you and trust in your knowledge and expertise so they’re motivated to take that next step, whether that’s subscribing to your newsletter, following you on social media, or simply asking you for more information or an appointment. It’s basically everything you do to bring people closer to an actual sale. And there are many ways to accomplish this that don’t cost a lot of money. Everything you do makes an impression, everything is marketing. Everything you do affects the way clients think about you. And in a way, everything is marketing. Marketing is not necessarily a department. 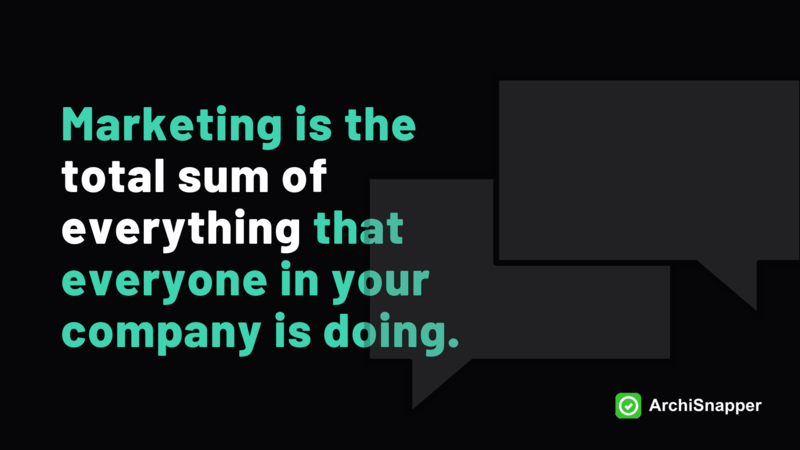 Marketing is something everyone in your company is doing all the time. Think about it this way: if the goal of marketing is to attract new projects, that means every impression that you and your team make is an opportunity to market yourselves. This includes doing the best possible job for your current clients so they come back and refer you to their friends. Is the newsletter you send out boring and repetitive? Or high-quality and interesting? What do you think this says to your clients about your creativity and attention to detail? Are your invoices confusing and sloppy? Or are they super clear and well-designed? Do they leave your client with the impression that you might be trying to swindle them, or that you don’t follow through with projects well? Are the videos and photos of your construction projects on Facebook inspiring and engaging? Or do they seem unprofessional and something that you haven’t put an effort into? What do you think this says about the pride and passion you have for your work? When you answer the phone, are you helpful and attentive? Do you sound happy? Or are you short and direct, like you are in a rush to get off the phone? What does this say about your attitude towards your clients and customer service? Do you get easily angry and irritated with your team on the construction site, snapping and belittling them? Or do you treat them with respect and patience? What impression do you think this gives about what it will be like to work with you? Are you personally following up on late payments with your clients (errors are human, no? ), or do you immediately send your lawyer within 24 hr after the due date? What final impression do you think this will leave? Marketing is not one singular thing. It all counts. It all builds together to give the client an idea of who you are and what you are like to work with. Marketing isn’t just a few individual events. It’s the total sum of everything that everyone in your company is doing. This is important to keep in mind because it will build repeat business, and help you get referrals, which can help you build and sustain your business. People are more likely to trust their friends when they say you are a good contractor, so make sure that each client you have walks away feeling like you were great to work with will help you get more referrals and get more clients. Especially in the SMB world, this kind of “everything is marketing” can give you a very competitive advantage over the big sharks-competitors. It is much more easy for a small or medium business to excel and impress your clients with good service than it is for a big company. But what about when it comes to reaching out to a completely new clientele? 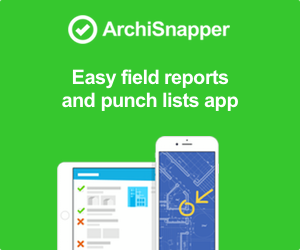 What about the people who have never heard about you before, and who are looking for an architect or contractor in their area with money to burn in their pockets and amazing ideas in their heads? How do you find them, or more importantly, how can they find you? When we talk about inbound and outbound marketing, we are talking about 2 different ways to get in contact with possible new clients, and hopefully, get them closer to working with you. But what’s the difference between inbound marketing and outbound marketing? Let’s start with outbound marketing. Outbound marketing refers to any kind of marketing where a company initiates the conversation and sends its message out to an audience. Essentially, it is you going out and trying to contact the client and asking them to work with you. The majority of the models of marketing are based on outbound marketing. Outbound marketing uses a variety of methods to get the word out about products or services. And while for some companies, this can be effective, generally you need a large budget and lot of time for this method—which are both things most small to medium-sized contracting and architecture firms do not have in spades. 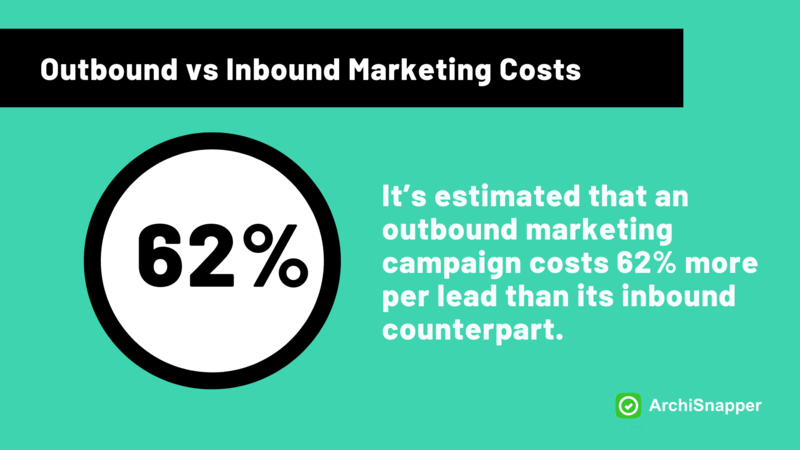 It’s estimated that an outbound marketing campaign costs 62% more per lead than its inbound counterpart. Secondly, some of the methods will eat up a ton of time for very little result. Take cold-calling for example, while it might be quite cheap to do (come up with a list of business and people who might be interested in working with you then call them) generally, this can take hours and hours of your time. And still render low results. Whereas outbound market is you trying to contact and tell potential clients what you do, bound is where you make sure that all the information about what you do, and why it will meet the needs of your potential clients, is readily available—then you let the clients come to you, when it fits them best. It is often referred to as self-directed marketing. That sounds great, but what exactly does it work? 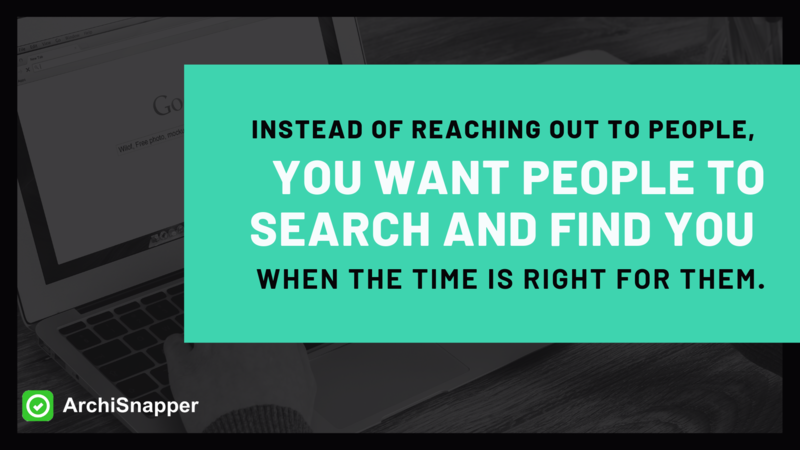 Instead of your reaching out to lots of people, you want people to search and find you when the time is right for them. A lot changed with the internet. The way we communicate with our friends and family is different. The way we decide on which restaurants we are going to eat at is different. The way we travel to and from work, to around the globe, is different. The way we consume news and chose which candidate to vote for is different. The way we decide on who we are going to date is different. And certainly, the way we decide on who we are going to work with, and who we will hire to build our next project, is different. 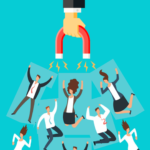 Potential clients are no longer dependent on your sales efforts to inform them about your services—and in fact, it could be argued that this is actually a less effective way to attract the right clients. With the rise of search engines and social media—all the client has to do is perform a simple search, find all the information they need, and then they choose who they are going to work with. This is what makes inbound marketing an essential strategy: offering the right information, and by educating people on what you do, and providing them value upfront. By being able to make this information and value readily available and easy to find, prospective clients will come to you. Last year, HubSpot produced an excellent report which offered a ton of statistic proving the effectiveness of inbound marketing. Let’s check out some from the HubSpot State of Inbound 2018 Global Report on the current state of inbound marketing. 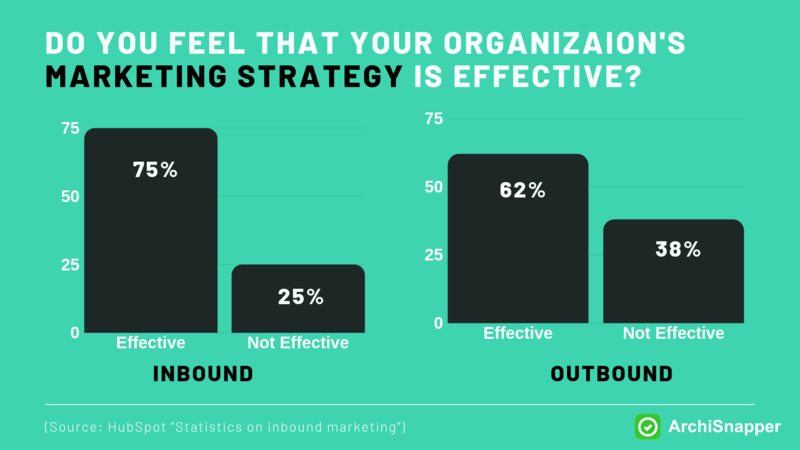 Inbound marketing teams are more likely to rate their marketing strategy as effective than their outbound counterparts. 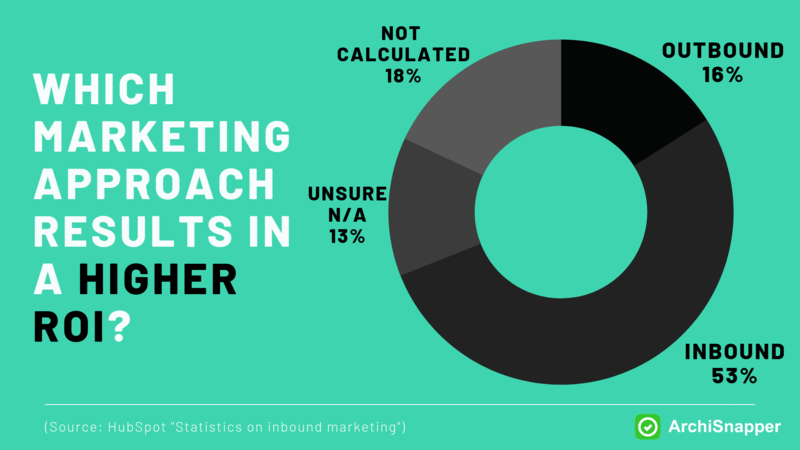 When respondents were asked ‘Which marketing approach has given your organisation a higher ROI?’, 53% answered inbound marketing, whereas only 16% responded with outbound. 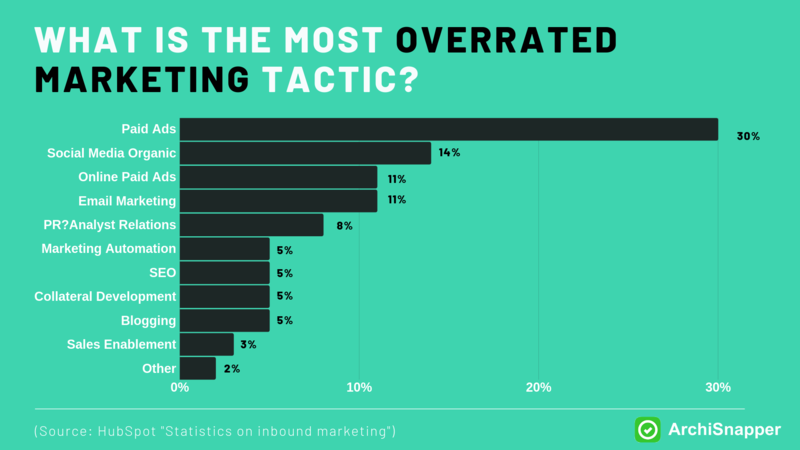 When asked which marketing tactic was the most overrated, 30% of respondents answered paid advertising. Modern clients educate themselves. The average buyer spends a lot of time online researching the product or service before making a decision. In fact, most have already made a decision before a salesperson even comes on the scene. 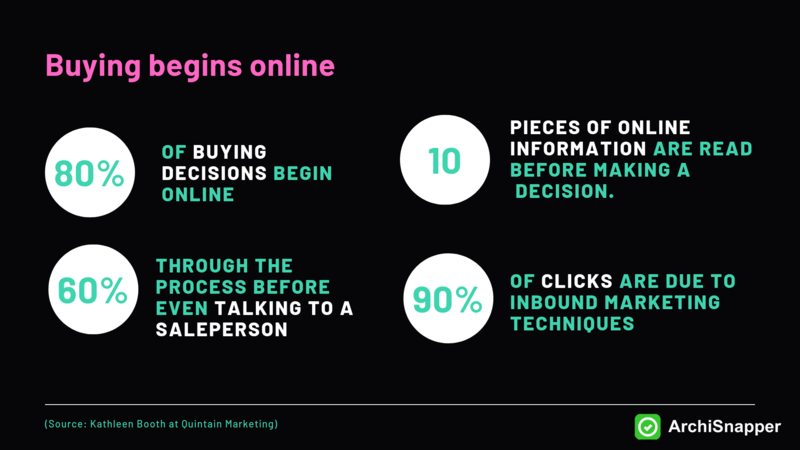 80% of buying decisions begin online, usually by typing a question into a search engine. The average buyer gets 60% of the way through the buying process before they are willing to speak to or engage with a salesperson. The average person consumes 10 pieces of online information before making a buying decision. Outbound marketing techniques are responsible for less than 10% of the clicks on the web, whereas inbound marketing techniques generate 90% of the clicks. How do you make buying decisions? How do your customers? Imagine you need a new website for your architecture or construction firm. You’d probably start by running a quick Google search. You might search “architecture web designers” or “web designers in [city]” or “how to build an architecture website” or “find freelance web designers” all of these searches have one word in common “web designer”. This is called a “keyword”. Keywords are important. The more times a keyword appears on your website, the higher the chances that your name will come up when people search for your service. Then you will probably click on the first two or three search results that your search engine has offered. On the website, you’ll probably evaluate things like what their site looks like, examples of their work, who they have worked with in the past, who the teammates are, and possibly where they are located. Perhaps while you are on their site, you will see an interesting blog post. For example, they have some tips on how to take beautiful architecture photos. If you find all the information easily, and you find it helpful, you will probably click the “get a quote” or “contact” button. Guess what? Your potential clients are doing the exact same thing. 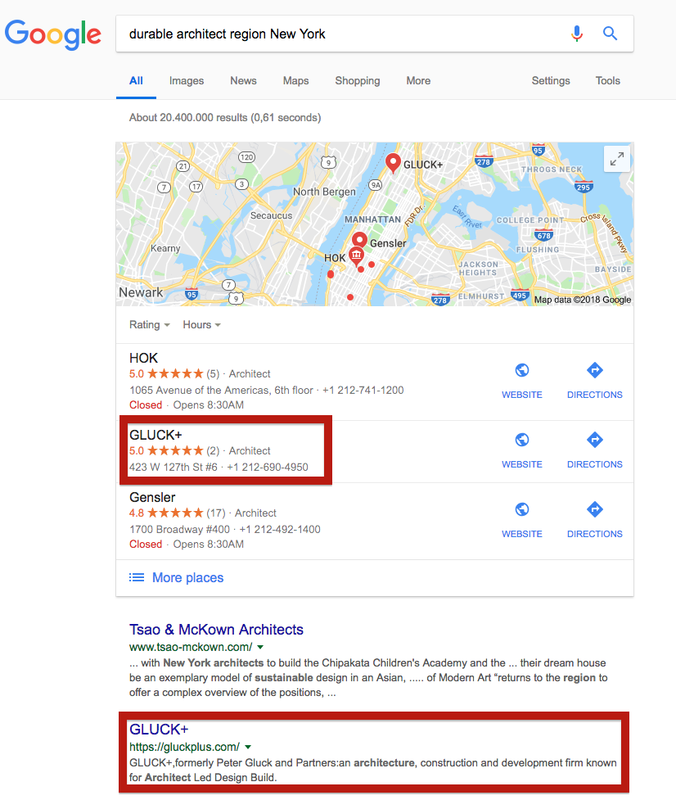 They are typing in “architecture firms in [city]” and whether or not your name comes up in the search results makes a huge difference on your ability to get new clients. This is why inbound marketing is so important. 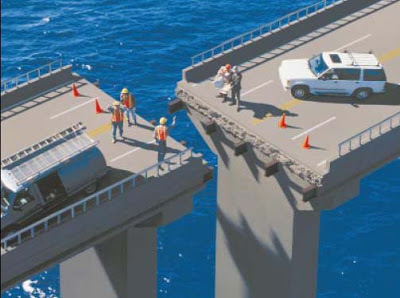 Another example of this would be if the potential client typed in “how to lower construction costs” and an article you’ve written comes up with some top tips on the subject. If they click your article link, and the article provides value for them, the likelihood of them hiring you goes up. Inbound marketing is an efficient, modern, and inexpensive way to will help you get better leads and help save you money at the same time. Note: Improving your SEO is just one inbound strategy. In the past few weeks, we have been exploring a variety of inbound marketing techniques. These different techniques work together to help you build a strong, and busy, business. Here is a selection of recent articles that can help you begin to navigate inbound marketing. Ranking highly on Google is probably the most important factor for getting people to get to know you online—and having them eventually reach out to you. One of the most effective ways that you can start positively influencing how high you rank near the top of Google search results is by simply offering valuable content that your audience finds helpful. Spend more time on the kind of customer service that will turn your clients into return customers who will recommend you—both to their friends and colleagues and online. Having an army of ambassadors that are so happy with your product or service they naturally promote you whenever they can is the ultimate marketing channel. And not only is it super effective, it’s free. We are going to explore what two firms are doing. They both use inbound marketing techniques to gain new leads, helping them become some of the top small to medium sized firms in Chicago and New York City. GLUCK+ is a mid-sized architect, construction, and development firm in Manhattan. In the region of New York, there are probably more than a dozen of firms who are roughly the same size, offering roughly the same service. This makes it difficult to rank higher in search results. But GLUCK+ is one of the highest ranking firms in New York city. They share valuable content. They are using content marketing to raise their SEO and this has helped them climb to the top of the search results. 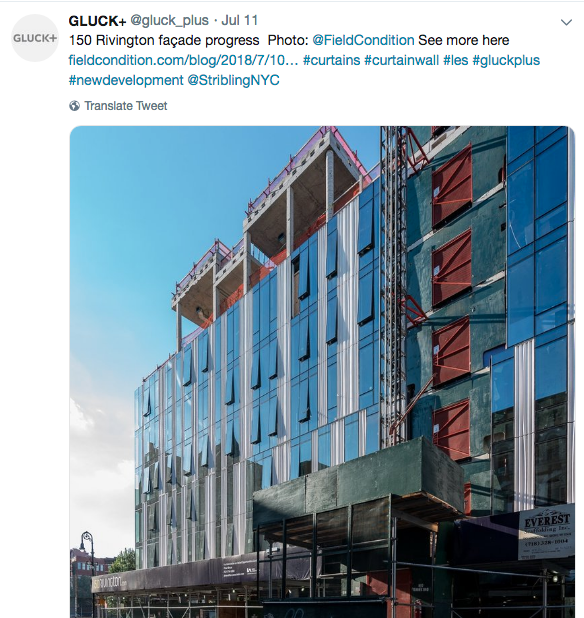 So, when the client clicks on GLUCK+’s website, one of the first things the client will notice is that GLUCK+ are sharing a wealth of valuable information, as you can see here, on their news stream. They share educational blog posts and videos on how they tackle things, what they’ve learned on a given project, best practices, and so on. Take, for example, this short blog post on their experience with a Philadelphia high rise. On top of that, they are very active on social media—check out their Twitter activity. Instead of bus stop signs and radio ads, GLUCK+ is tapping into inbound marketing, they come up first in search results, make valuable information readily available to potential clients, and have created an engaging online presence. “Maya Construction Group” is a group of Chicago-based contractors. There’s a lot of useful information on their website. Additionally, they have a blog with content that’s valuable to potential clients. Take, for example, this blog post on “The 10 Best Renovations to Do Before Selling”. They also share updates regularly on their Facebook page, and have made it easy to contact them and get a quote via social media. 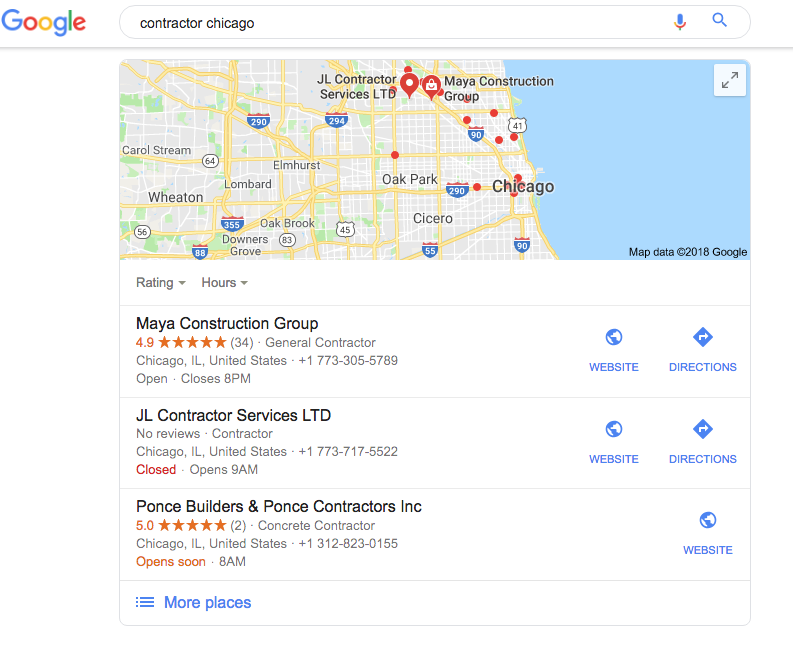 Developing a strong online presence means that they are probably getting lots of clicks and visitors every single day, and there is a very high potential that these visits are coming from qualified leads— Chicago-based clients in the market for home remodelling. One of the reasons that inbound marketing is so effective is that has a snowball effect. Once you start using it as your main marketing technique—it will keep growing. For example, when it comes to SEO, the higher you rank the more website traffic (potential clients) you will get. Then it begins to snowball. You get more clicks. And those clicks mean that you rank a little higher. Then you get more clicks because you ranked a bit higher, so you rank higher again. 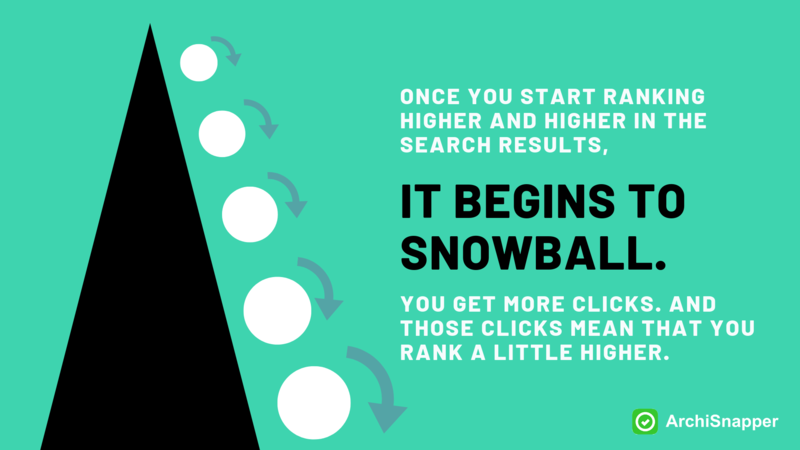 And while the end game is not to get higher in the results, its to get more clicks from potential clients who are looking for your service, your likelihood of getting these potential clients to click goes up when you are the first option on the Google search results. The same is true for getting referrals. If you do a great job, the clients will talk to their friends about your work. Then their friends will hire you when their next project comes up. Again, if you do a great job, they will talk to their friends, and their friends will hire you—once again a snowball effect. It won’t take long before your business will start growing based on referrals. Investing in your inbound marketing strategy,will continually payoff. We want to share our upcoming ideas with you. Every week, we publish new articles on how you can build and scale your business. If you’d like to stay up to date on our latest content, subscribe to our newsletter via the red bar on top, or connect with us on Facebook or Twitter.